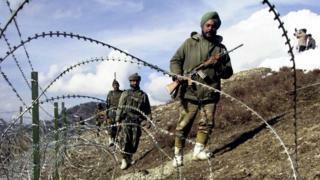 Kashmir: Why are India and Pakistan fighting? Tensions are growing again over the territory of Kashmir, but why are India and Pakistan fighting over it? Both India and Pakistan claim all of Kashmir, but control only parts of it. Since the two countries split in two following their independence from Britain in 1947, there have been three wars over Kashmir. Both countries have nuclear weapon capabilities. Kashmir is a contested territory sitting in-between Pakistan and India. Both own part of the territory. The Himalayan region is one of the most militarised zones in the world. China also owns a small part of the territory. How long have India and Pakistan been fighting over Kashmir? WATCH: What were the reasons for the Partition of India in 1947? Kashmir has always been a hotly contested territory since its creation in 1846. When India was given independence from Britain in the 1947 Indian Independence Act, India and Pakistan were split into two separate countries. Under the plan, Kashmir wasn't given to either India or Pakistan. It was left up to the local ruler of Kashmir called Hari Singh. He chose India but this led to a war over the area between the two newly formed countries. It lasted for two years. A second war broke out in 1965, and in 1999 tensions rose again. By this point, both India and Pakistan claimed to have nuclear weapon capability. What was the impact of the Partition of India? Why are India and Pakistan so keen to claim Kashmir? 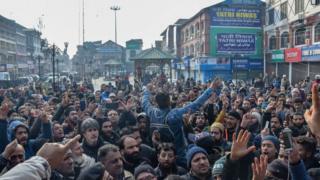 Many people in the Indian owned part of Kashmir do not want to be ruled by India, instead preferring to be ruled by Pakistan or becoming independent. The Indian owned part of Kashmir is the only state within India where Muslims are in the majority. The majority religion in Pakistan is Islam and the majority religion in India is Hinduism. India claim the territory because the country of Pakistan has only existed since 1947. Pakistan claim the territory because the majority of people in Kashmir are Muslim. 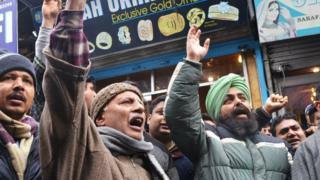 There is high unemployment in the Indian part of Kashmir and this has led to protests in the streets. The protests have led to violent clashes between the protestors and the security forces. In 2016, a militant leader called Burhan Wani died during a fight with Indian security forces. 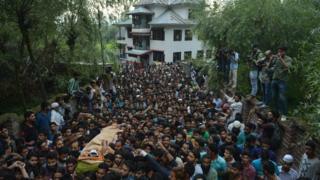 Thousands attended his funeral and in the months following violence in the region began to increase. In 2018 alone, 500 people were killed in the fighting. That's the most in over a decade. 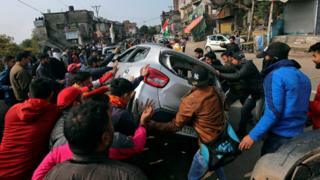 On 14 February, the tensions grew significantly following a terrorist attack on Indian troops at the border. At least 40 people were killed. A militant group based in Pakistan claimed responsibility for the attack. Earlier this week, India responded by launching air strikes in Pakistani territory claiming that they'd killed members of the group responsible. However, Pakistan said no one had died. 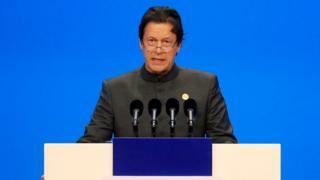 Pakistani Prime Minister Imran Khan said both countries "should sit down and talk"
On Wednesday, Pakistan said it shot down an Indian fighter jet in its own airspace, capturing a pilot. In response, India's ministry of defence confirmed it had lost one fighter jet and a pilot was missing in action. 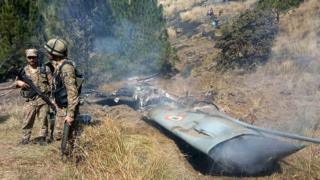 It's the first time since 1971 that there have been aerial attacks across the Line of Control (LoC) dividing Indian and Pakistani territory. On Thursday, Pakistani Prime Minister Imran Khan agreed to release the pilot on Friday in what he called a "peace gesture". 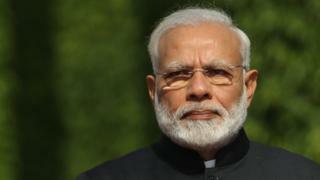 Indian's Prime Minister Narenda Modi has yet to comment but was meeting top Indian security and intelligence officials to discuss the situation. The USA, the European Union and China have all called for both countries to calm the situation as soon as possible. The Partition of India: What happened? Partition of India: What impact did it have?